With a bit of a breather from our busy schedule this year, we thought it would be a good time to talk about the three art fairs Artemis Art has participated so far in 2017. All in all 2017 has been a good year for us so far, thanks in a big way to our art fair program. 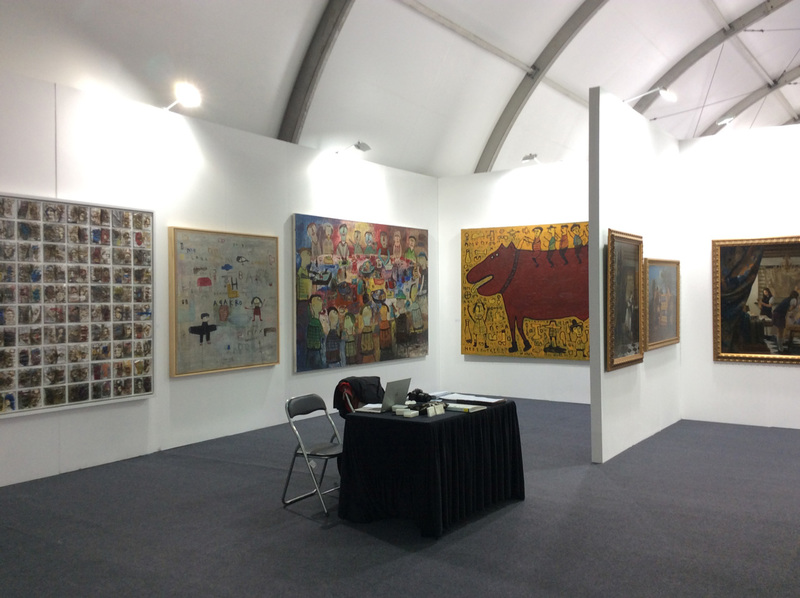 Although the Malaysian art market has been experiencing a slow down of sorts in the last 18 months or so, art fairs around Asia have been reporting healthy sales activity, something we experienced first hand. In 2017 to-date, Artemis Art has participated in Singapore Contemporary, Art Central Hong Kong, and most recently in April, Young Art Taipei. All three fairs produced good results for us, credit going to the strong works by the participating artists, in particular our emerging Indonesian artists whose works were very well received across all three events. 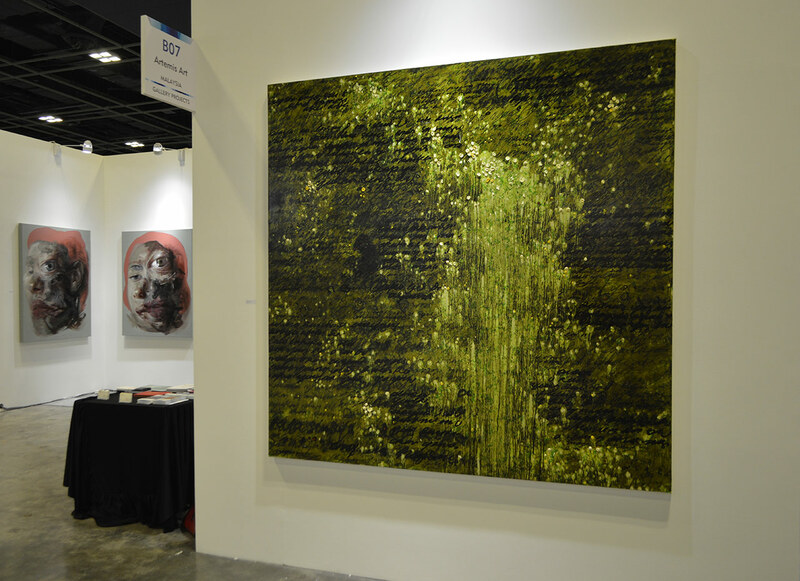 This year marked our second participation in Singapore Contemporary, kicking off Artemis Art’s annual art fair program. 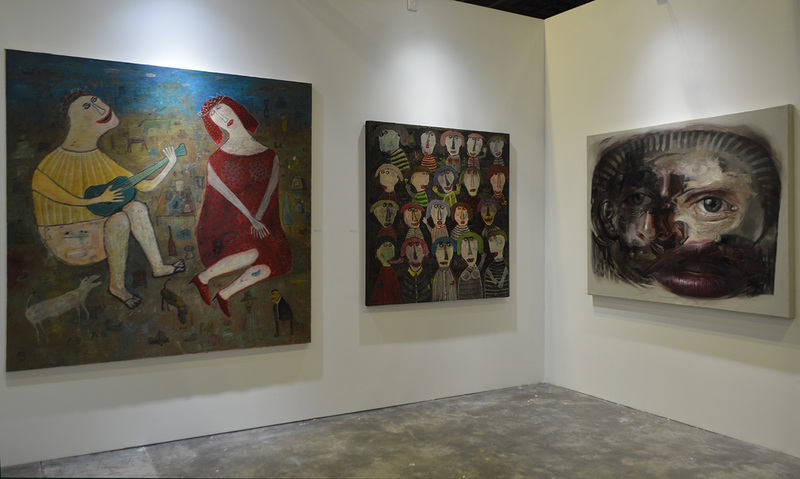 Featured at our booth this year were works by Dedy Sufriadi, Indra Dodi, Nik M Shazmie, and Robi Fathoni. In addition, young artist Haris Rashid was selected to be one of the ten installation artists whose works were on exhibit throughout the fair. The overall attendance seemed smaller compared to 2016. One factor could have been the less than rosy general economic outlook, and another being that this time around Singapore Art Week was extended (spanning 12 days), with Art Stage Singapore being held during a separate week. 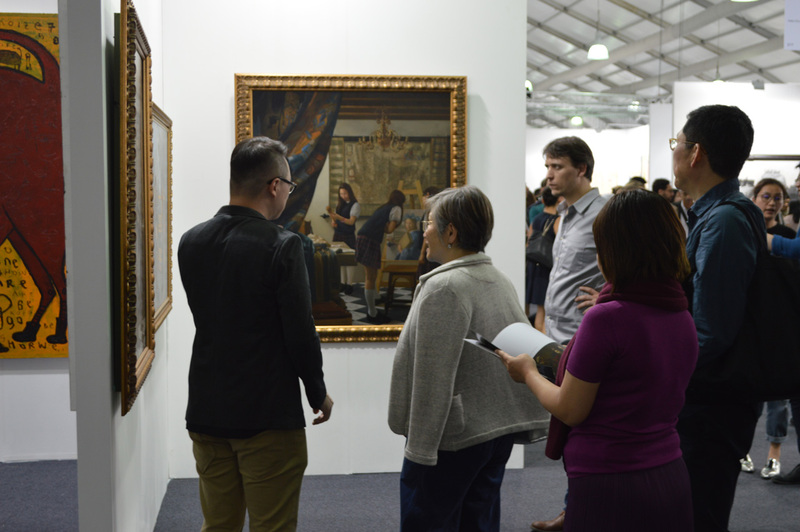 For us, what was also noticeable was the composition of the audience, which this year seemed to comprise a higher percentage of Singapore-based visitors, versus those visiting Singapore specifically for visual art, as we noticed in 2016. But as they always say, ‘quality is better than quantity’, and for Artemis Art a smaller quality audience is always better than sheer number of people. This was certainly true of Singapore Contemporary 2017, where we did better compared to the year before. 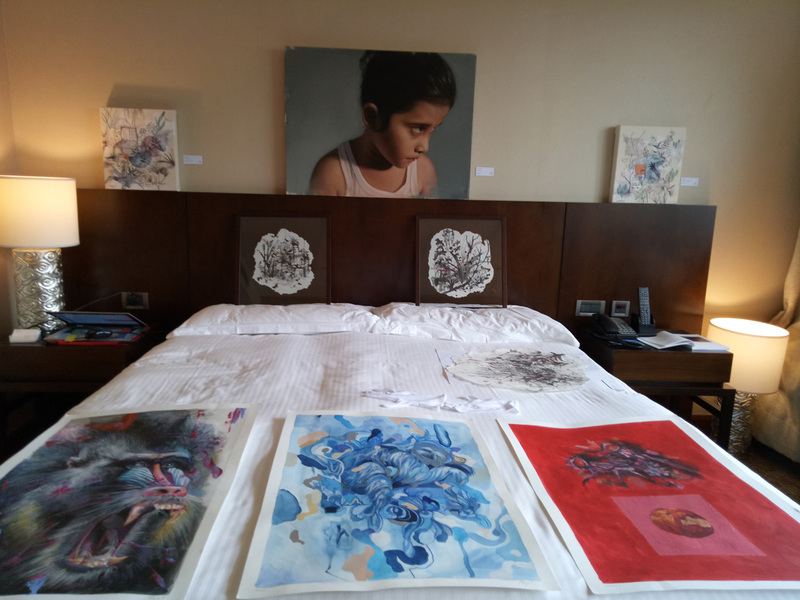 Works by three out of the four participating artists were sold during the art fair, including those by Nik M. Shazmie and Robi Fathoni, the first time we’ve featured both artists during a major art fair. Equally as important were the quality contacts we made during the four-day Singapore Contemporary. 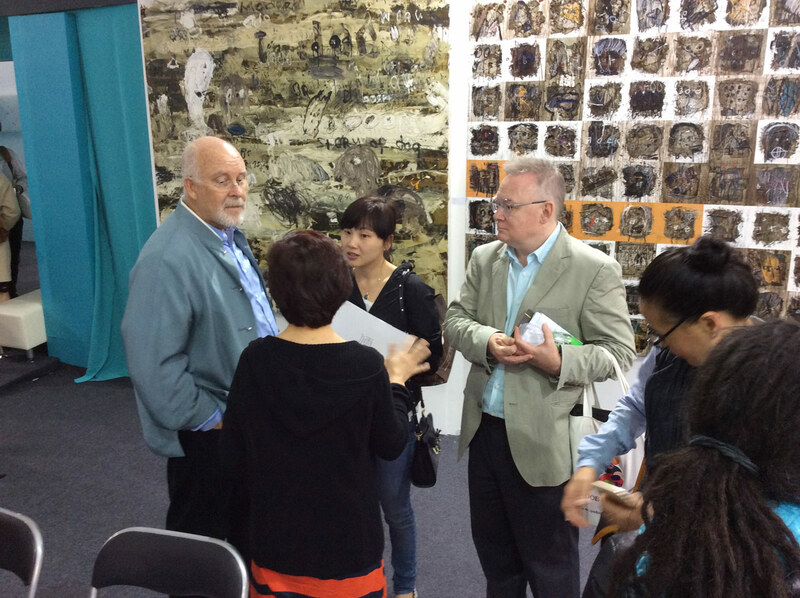 As a small gallery trying to gain its foothold in the art world, international art fairs provide an opportunity to widen our reach to a more international audience. It is well known that Hong Kong is regarded as a global destination for visual art, and this is particularly true in the month of March when Hong Kong celebrates its Art Month, whose highlights include Art Basel and Art Central. Artemis Art was privileged to have been selected as one of the participating galleries for this year’s edition of Art Central, taking place from 21 to 25 March 2017 at Hong Kong’s Central Harbourfront Events Space. 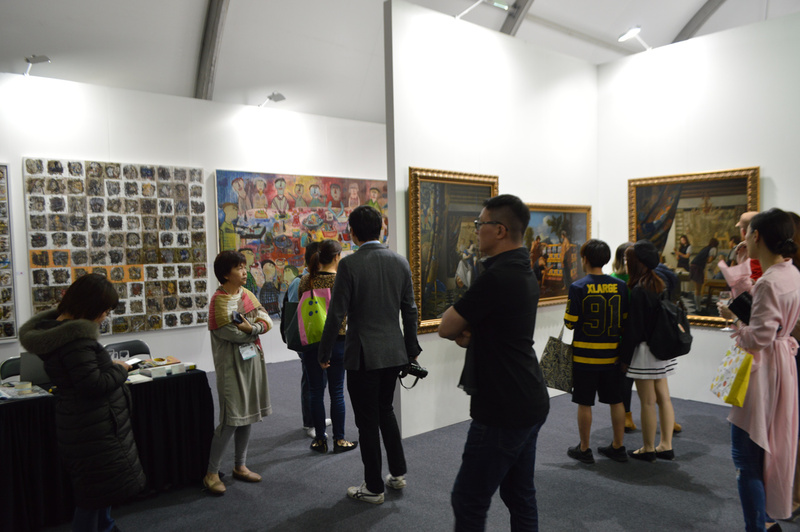 To-date, this is the largest art fair we’ve participated in, giving us the chance to experience first-hand the vibrancy of Hong Kong’s art scene, as an art fair participant. 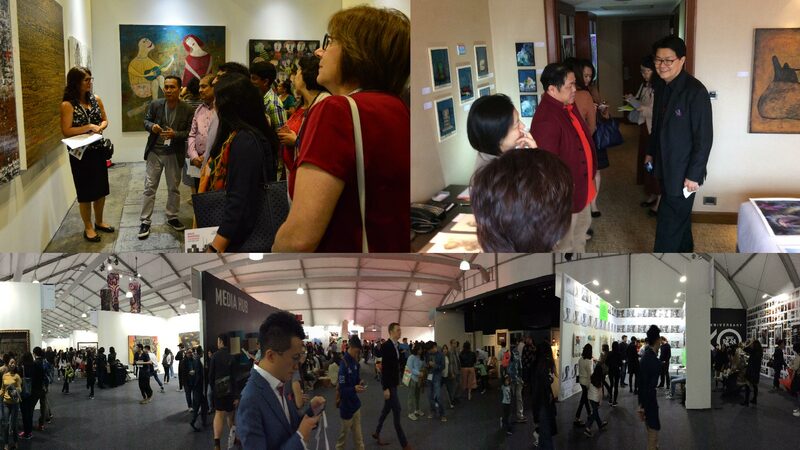 And we can safely say that it was an experience unlike any other art fair we’ve been in so far. 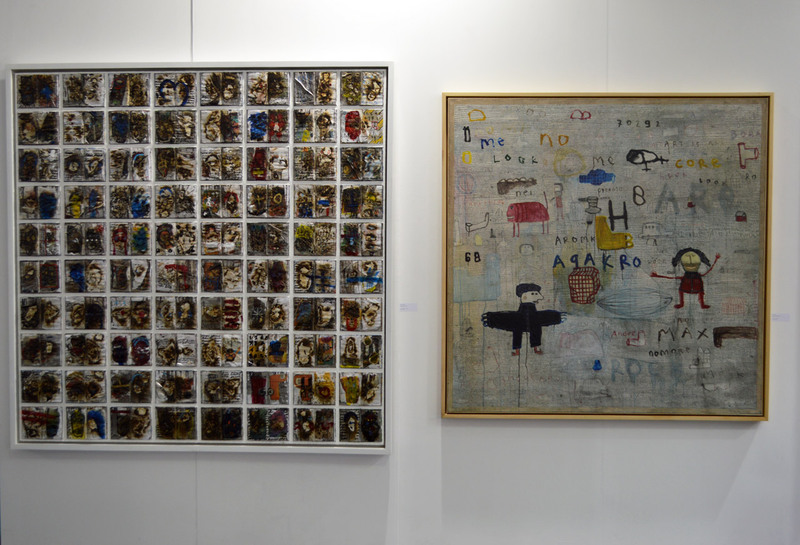 Being Asia’s financial hub has given Hong Kong the opportunity to become Asia’s gateway to the world in as far as visual art is concerned, with collectors, journalists, and enthusiasts flying in from around the world to attend the art fairs and related events taking place in March annually. Art Central is generally regarded as a satellite fair to Art Basel, and there is close cooperation and coordination between these two fairs. Not only was there a shuttle bus service ferrying people between the two fairs, the timing of each fair’s preview and vernissage too were coordinated. Which makes perfect sense; the coordination (as opposed to competition) benefits the fair goer, particularly those coming from outside of Asia. 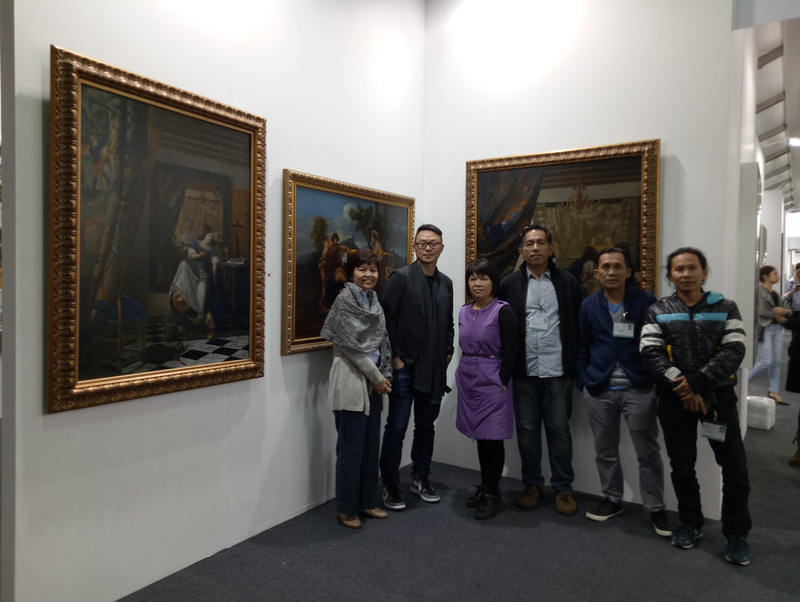 Artemis Art’s debut at Art Central featured twenty works from our three participating artists, Dedy Sufriadi and Indra Dodi from Indonesia, and Lu Fang (盧昉) from Taiwan. An art fair of this stature required us to dig deep into our resources, but we’re happy to report that the risk we took paid off, managing to sell over 75% of the artworks we brought with us. In addition, our presence at Art Central enabled us to expand our reach to a new group of collectors, not only based in Hong Kong, but also from other world areas inside and outside Asia. In all, Art Central Hong Kong stands on record as our best art fair participation to date, breaking new ground and paving the way for bigger things to come in the near future. 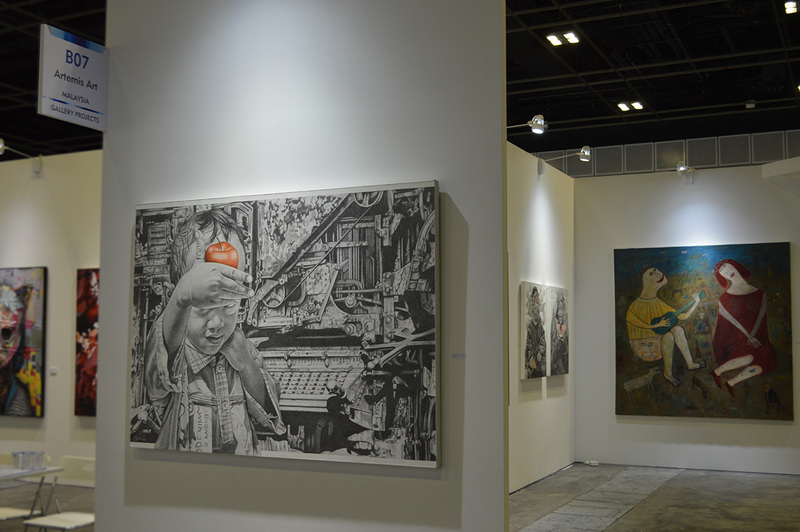 The most recent art fair that we have participated in this year is Young Art Taipei 2017, held from 14 to 16 April 2017, our third participation in as many years. 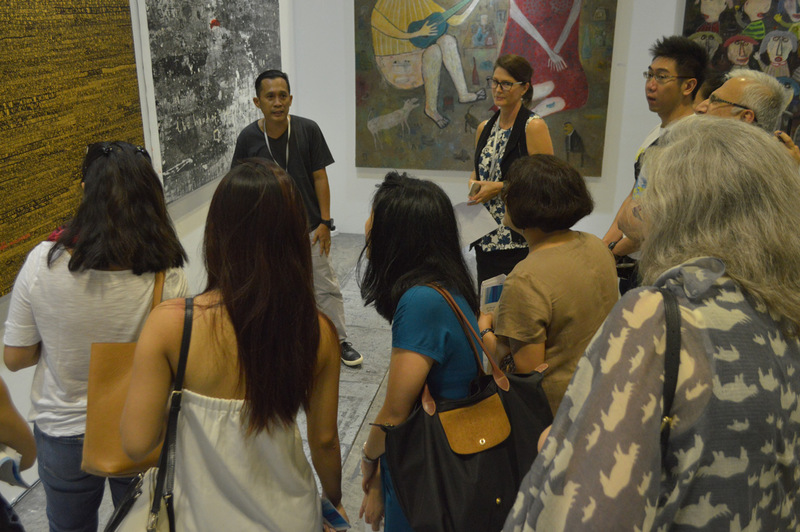 This time around we featured works by six artists, two from Indonesia and four from Malaysia. 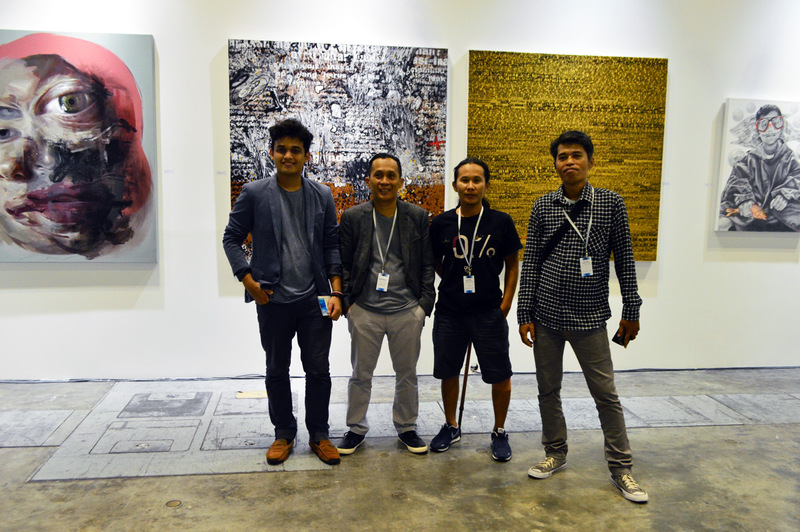 The participating artists were Ajim Juxta, Alexandra Hon, Haris Rashid, Indra Dodi, M. Fadhlil Abdi, and Viko Zhijune. Of the six, four are first-time participants in Young Art Taipei, while for Alexandra this was her first participation in an international art fair. In our previous two participations in 2015 and 2016, our nominated artist for the annual Young Art Award made it to the top three winners, Dedy Sufriadi in 2015 and Ajim Juxta last year. Despite the fact we couldn’t make it three years in a row for the Young Art Award, this year’s art fair was far from disappointing. 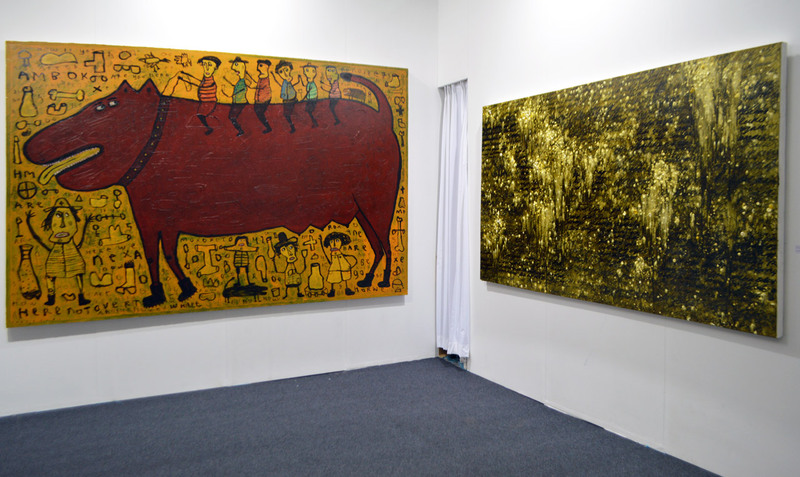 All six works by the two Indonesian artists completely sold out by the second day of the art fair, with some works by two Malaysian artists picked up as well. 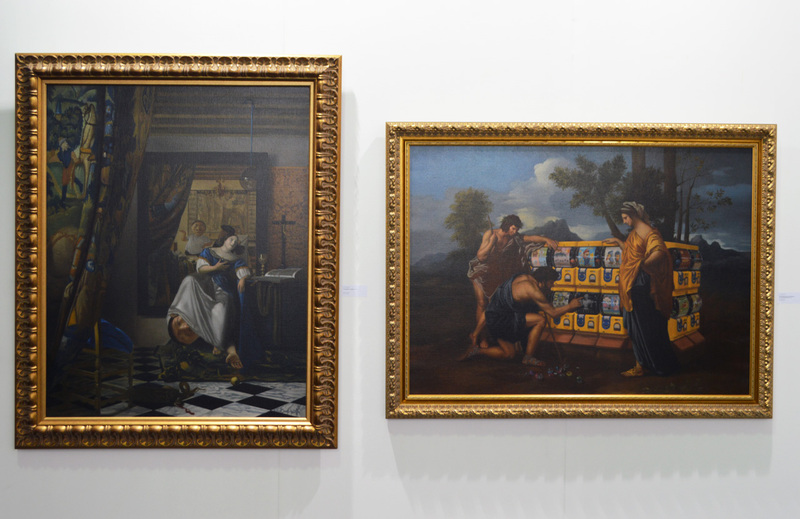 Sales aside, this year’s Young Art Taipei also successfully introduced new artists to the Taiwan market. Particularly well-received were emerging artists Indra Dodi and M. Fadhlil Abdi, paving the way for possible exhibition opportunities for both artists in time to come. For the foreseeable future, Young Art Taipei will continue to be a core part of our annual art fair calendar, as it is an art fair that allows us to feature younger artists, targeted at a younger collector base that the art fair was designed to cultivate. 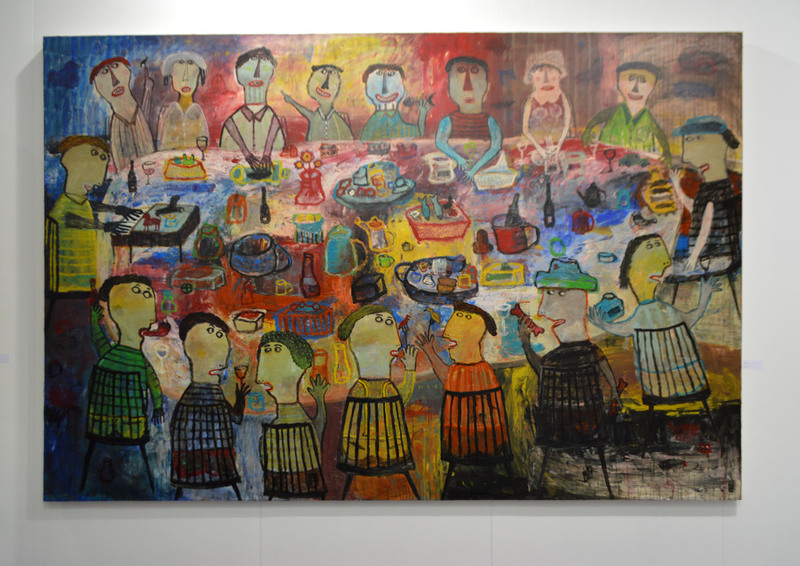 That said, many more senior Taiwanese collectors do frequent the fair every year, allowing us to further broaden our reach into the dynamic Taiwan art market. Artemis Art will be participating in Bazaar Art Jakarta 2017, taking place from 27 to 30 July 2017. This will be our second participation in this art fair, and we will be featuring works by three Indonesian and one Malaysian visual artist. The artists included in our participation this year are Dedy Sufriadi, Indra Dodi, Robi Fathoni, and Umibaizurah Mahir. This year’s participation will include 3D art by Umibaizurah Mahir, Malaysia’s foremost contemporary ceramics artists, a slight departure from last year where paintings formed the focus of our booth. 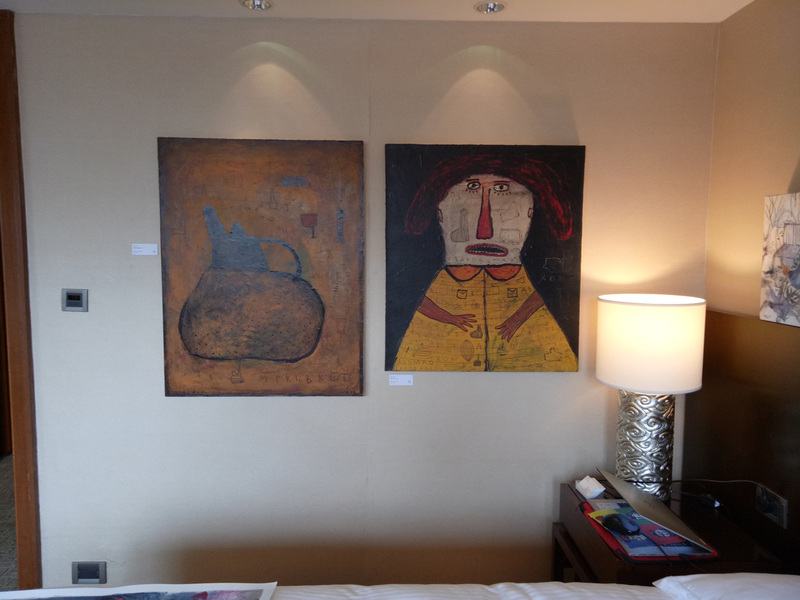 Once again, similar to last year, the art fair will take place in the Ballroom of Ritz-Carlton Jakarta, Pacific Place. We will be providing updates as the date draws nearer.